Last week I received another DBE (dreaded brown envelope.) For those lucky enough to not know what this means, all correspondence from the DWP (Department of Work and Pensions) arrives through one’s letterbox in a brown envelope. The sight of them does something weird to me and my mum has taken to opening them for me or hiding them until she gets home from work so that I’m not alone when I open them. The wording of the letters is often threatening and scary in my opinion. 5 pages of words like ‘Urgent’ and ‘action needed’ and ‘your benefit may be stopped’ in bold lettering. We are given a deadline within which any forms must be returned. (A week before the deadline we receive the most threateningly worded letter of them all.) And then there’s the bit about being prosecuted if you’re found to be omitting evidence. For someone who now gets her knickers in a twist over whether she wants lasagne or chicken for tea it really isn’t all that pleasant! 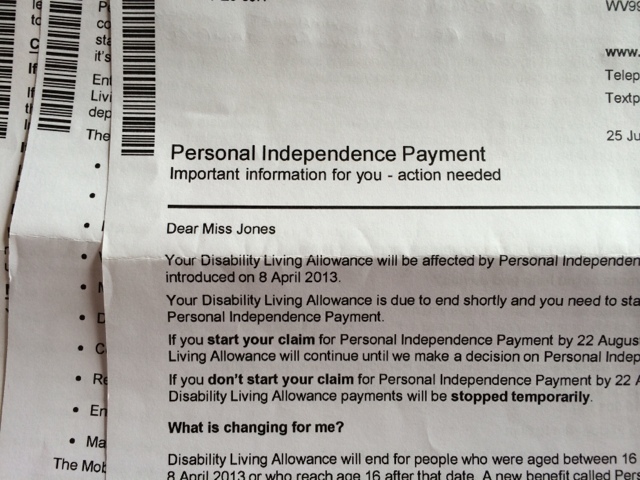 This letter told me if I wanted to claim PIP I needed to ring for a form. Why not just send me the form anyway? 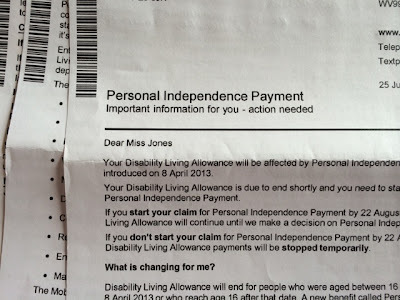 The likelihood is that any DLA receipient is going to want to transfer over to PIP. What a waste of postage! Anyway. I believe they’re trying to catch me out. One of the standard questions on these benefit forms is whether you can use a phone and hold a conversation. By ringing, one is automatically answering that question. Any healthy person would struggle to concentrate for 15+ minutes of dialogue and questions and general disclaimer nonsense. As a poorly person it’s not something I’m able to do. I don’t even speak to my friends on the phone. Something about not being able to lip read or read people’s body language really makes phone calls incredibly hard. Luckily I have my mum to ring and fill in these forms. Hooray for her. I am lucky to have someone who can ring the DWP and fill on the forms for me but I just had to give my consent and listen to some declaration of something-or-other over the phone. 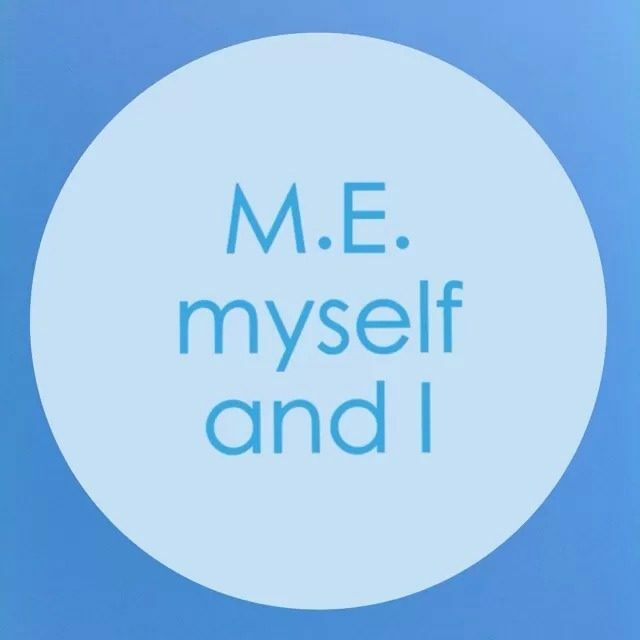 That alone is an incredibly tough task for an M.E. sufferer; to process the words and sentences quickly enough to make the correct response. Our brains don’t function like they used to and the ‘exertion’ of listening to 30 seconds or less of dialogue over the phone has now wiped out the rest of the day for me. The system makes me feel like a second class citizen and a prisoner in my own home. I have to notify the DWP of any changes to my health, good or bad. I have to notify them if I leave the country for certain periods of time. I cannot squirrel-away or save up my benefits for my future like I want to. I have heard of acquaintances being under surveillance; with people sitting outside their homes to check whether they really are housebound like they said they were. Granted there are those who manipulate the system. A rogue few have ruined it for the rest of us. (It baffles me as to why anyone would pretend they love a life of reduced mobility…) Programmes like Benefits Street do us absolutely no favours. It’s become a witch hunt. I admit to assuming that all claimants were work-shy shirkers before I became a claimant myself. How wrong I was. How ignorant and narrow minded. Tax credits and Child Benefit (or whatever they’re called now) count as claiming for goodness sake! I know we cannot expect things to be handed to us on a plate and we’re lucky to have the financial support we receive but I have never experienced anything so soul-destroying in my life. And we haven’t even started filling in the form yet, where I have to think in detail about true state of my health and my life. Seeing it in black and white produces tears every time. And don’t get me started on the medicals and court appeals!